I was listening to Power 106 radio today, when at about 1:30pm, I was shocked by the death announcement of veteran journalist and broadcaster, Dorraine Samuels. It was only about two weeks ago news was circulating in social media about her terminal illness, but her family had asked for privacy and understanding during the process. There was also a later news report that she was 'recovering after surgery', so it came a big shock to me, and indeed all Jamaicans, home and abroad, that she has passed. Dorraine entered broadcasting in January 1981 and shared an distinguished partnership with Alan Magnus on RJR for four decades. She also hosted the programme Good Morning Jamaica, which was later named Dorraine's Coffee Break. "The Government extends sincere condolences to the friends and family of Dorraine Samuels. Her sincerity, integrity and significant contribution to broadcast media is unparalleled. We pray with the RJR/Gleaner group and the entire media fraternity in this their time of sorrow." "It is with a deep sense of sadness that the immediate family and the RJRGLEANER family of broadcaster Dorraine Samuels announce her passing. Dorraine lost her battle with cancer this afternoon. We continue to hold her family, friends and colleagues in our prayers. "Dorraine Samuels was such an icon... she was absolutely the epitome of poise and class, the clear gold standard of broadcasting. My deepest condolences to her family, friends and the media fraternity. RIP"
"This day! I'm still reeling from hearing about Uncle Bo Pee' s pasding, then now this! Aunty Dorraine Samuels! Lawd my poor Uncle Alan! His wife and his radio wife in one week." "The People’ National Party takes this opportunity to extend sincere condolences to the family and friends of Dorraine Samuels. Her passing has put the entire Jamaica in mourning as she reflected the best of the Jamaican personality - warmth, fairness, balance and decency. " "We are saddened at the passing of Distinguished Past Student 2006 and Veteran Broadcaster Dorraine Samuels OD. Sleep well our beautiful Swan Sister Dorraine." "IRIE FM would like to take a moment to wish our heartfelt condolences to the friends and family of veteran broadcaster and our colleague in the media industry, Dorraine Samuels who is reported to have passed away this afternoon. " 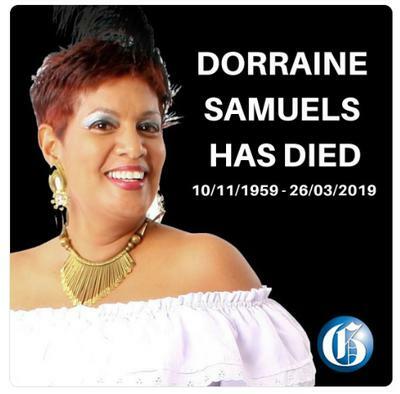 "Rest In Peace to one of the sweetest most beautiful woman I know, Dorraine Samuels 💔"
"We the Manz of Chancellor, would like to extend our deepest sympathies to the family of Dorraine Samuels. Her life has significantly impacted us right across Jamaica. May her soul be forever blessed." "The JMEA is saddened by the news of the passing of Jamaica's legendary broadcaster Dorraine Samuels. Jamaica has indeed lost an icon and we extend our deepest sympathies to her loved ones". "So sad to report the passing of RJR announcer and TVJ news presenter Dorraine Samuels.... I'm broken. Dorraine lost her battle with cancer one week after surgery. " "Saddened at the passing of Dorraine Samuels - became a part of the lives of those of us who grew up on RJR in the mornings with Alan. May her soul Rest In Peace". "Sadly we have lost one of the mothers of Jamaican talk radio and a veteran and immensely talented broadcaster and media personality. Dorraine Samuels thank you for coming into our homes and sharing your gift with us and contributing so much to our media industry and more. RIP. "Sadly we have lost one of the mothers of Jamaican talk radio and a veteran and immensely talented broadcaster and media personality. Dorraine Samuels thank you for coming into our homes and sharing your gift with us and contributing so much to our media industry and more. RIP." 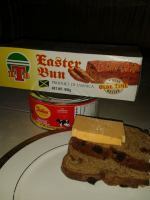 "Its almost as if Dorraine Samuels raised generations of Jamaicans. She was a consummate media personality. She will be missed. RIP 🙏🏽♥️"
May her soul rest in peace. I welcome your tributes here. Where ever you are in heaven tell God I said you deserve a pair of wings, gone but NOT forgotten and forever in our hearts..May your soul REST in Peace. Join in and write your own page! It's easy to do. How? 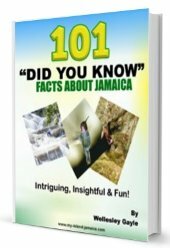 Simply click here to return to Jamaican News And Events.